Dr Peter Baumgartner grew up in South Africa and achieved his medical degree from the world renowned University of Cape Town in 1995. He worked as a junior doctor in the Johannesburg area including at Baragwanath Hospital. In 1997 he moved to the UK and spent the next 8 years training in anaesthesia achieving his Fellowship of the Royal College of Anaesthesia (London) in 2001 and was appointed as a consultant in Warwick, UK in 2005. During a year of specialist training at Royal Perth Hospital, Dr Baumgartner fell in love with Perth and realised that WA was the place he wanted to raise his young family. He was appointed at Joondalup Health Campus in 2006 and Royal Perth Hospital in 2008. He continues to work across the public and private hospitals in Perth. Dr Baumgartner has a wide range of skills and experience including bariatric and general surgery, obstetrics and gynaecology, paediatric surgery and urology. 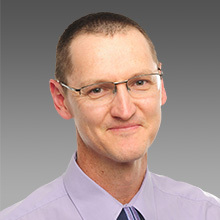 Dr Baumgartner is accredited at the majority of Perth’s private hospitals.